Romeo and Juliet by way of Detroit. A fresh take on boy-meets-girl comedy set in Detroit. Sami (E.J. 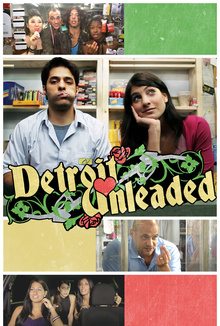 Assi) runs his immigrant family's gas station with his cousin Mike (Mike Batayeh, Breaking Bad ), a charismatic hustler with dreams of expanding into an unleaded empire. More than just a pit stop for late-night gas and rolling papers, their station is where a steady stream of unforgettable and often hilarious customers flow through. When a gorgeous up-do girl; named Najlah (Nada Shouhayib) comes to deliver cheap long-distance phone cards, Sami quickly falls for her from behind the bulletproof glass. Afraid her overprotective brother Fadi (Steven Soro) will disapprove, Najlah begins an under-the-counter romance with Sami, making his shift anything but routine.